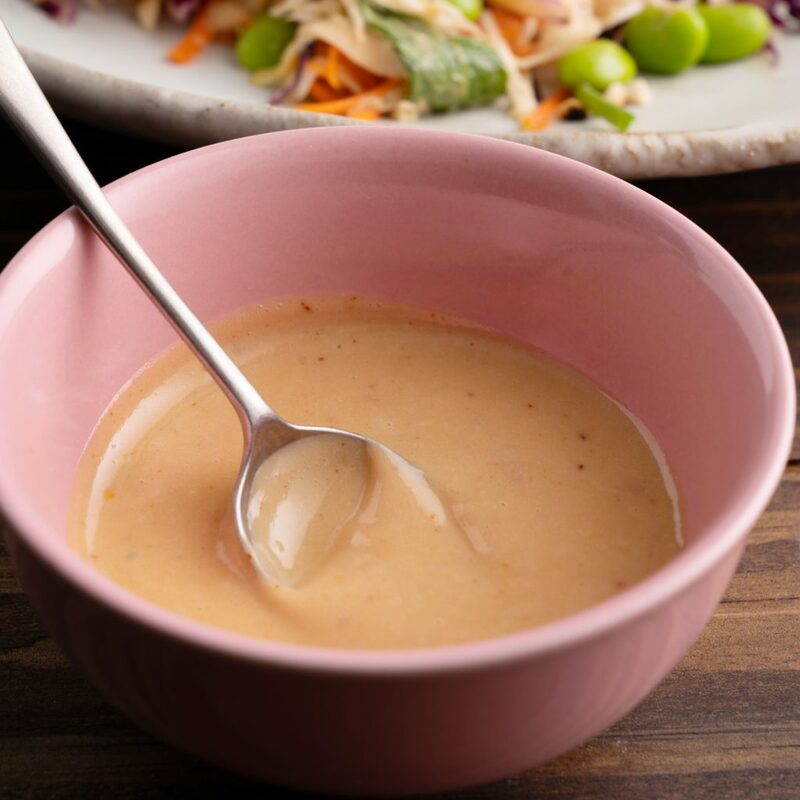 For the peanut satay dressing, place all the ingredients in a food processor and blend until smooth. Set aside until ready to serve. 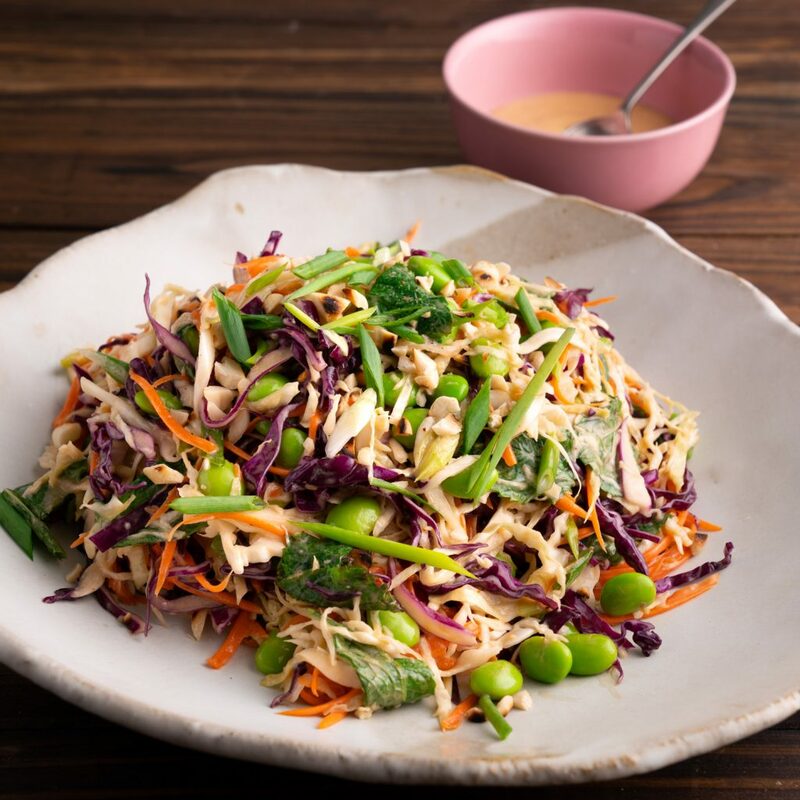 In a large bowl, place the cabbage, carrot, edamame, mint and spring onion. Add dressing half the dressing and gently toss until well combined. Add more dressing if necessary. Top with roasted peanuts and serve.